And so the franchise continues... This would have to be one of my all time favourate movie series since the I watched the first one as a 12 or 13 year old in the late 80's. I thought parts 2 and 3 followed it up nicely and for the record I thought 4 was a good movie but it didn't really feel right without the big man in front of the camera. Arnie is back (groan....) like he said he would be and this chapter chronicles an ageing terminator who has once again been reassigned the task of protecting the future of mankind this time by protecting Sarah Connor. The great thing about movies involving time travel is there is really an infinite number of possibilities and therefore sequels that can be extracted from the one story line. This time the story line gets even more complex (I won't give too much away) The movie intertwines with the first two movies rather well and one cool scene where an ageing terminator goes up against a younger version of himself. 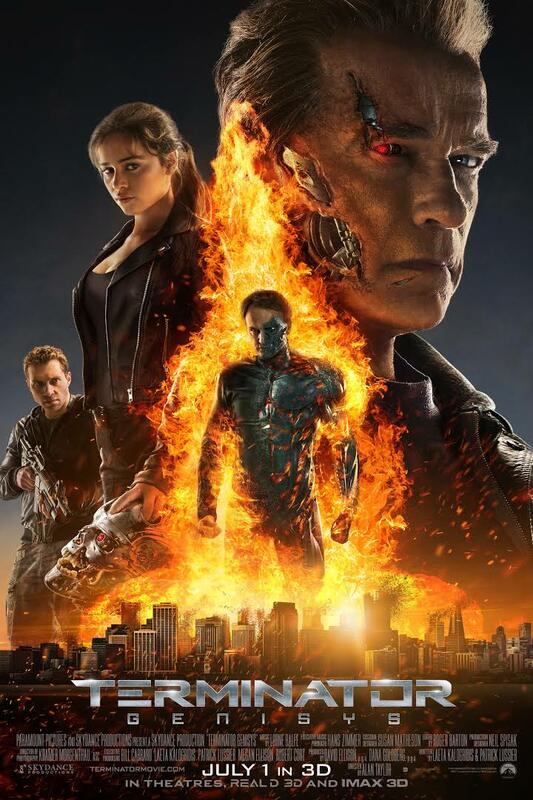 Of course the CGI is as excellent as you would expect it to be... and of course there's a newer model terminator that Arnie struggles to compete against. One criticism of this movie is it lacks the really BIG action scenes that part 2 and 3 had... some of it is there but its not the same. That aside it is a great watch and a few cool humerous moments (similar to those in part 2) really make this a genuine film rather than just a second rate soap opera. There are two ways you can watch this film you can sit back and enjoy the ride and just turn your brain off or you can analyse the time continuum as it unfolds as different time-streams get tangled up and rewritten by the minute. Both are equally valid in my opinion! I've included the preview for what look to be the next installment in the franchise, but the movie itself shouldn't be too hard to get off either netflix or on dvd/blu ray!